If you want to edit audio from video, you can edit audio directly with Macsome Audio Editor and no need to extract audio from the video. 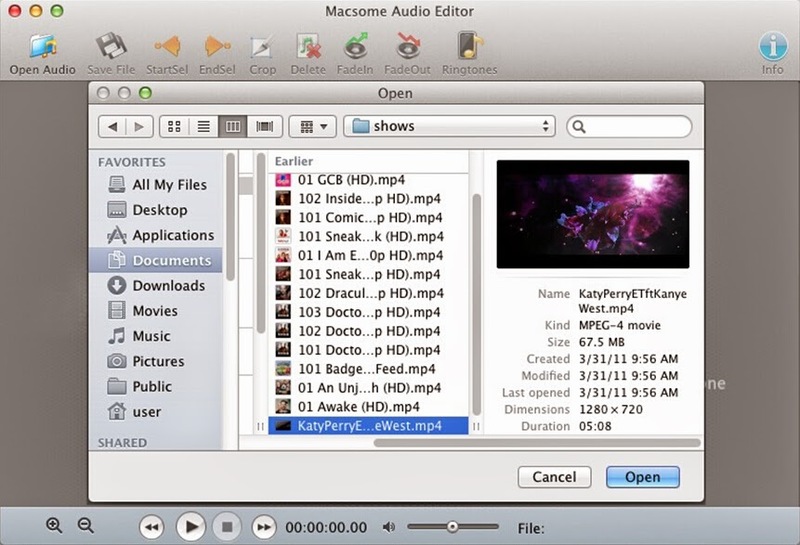 Macsome Audio Editor can not only edit the common formats audios and can edit videos with MP4, M4V, 3gp, 3g2 etc. It really sounds very cool! Macsome Audio Editor is very simple yet useful. You can crop the audio and save as a audio clip, fade in/ fade out the audio to make sounds special, and you can arrange the audio clips by copying, cutting and pasting. In addition, Macsome Audio Editor can produce an iPhone ring tone quickly. And here is the tutorial to edit audio from MP4 video. Click the Open Audio button to open the adding window, and then select a MP4 video and click the Open button to add. Click the playback menu to playing audio and click the button StartSel and EndSel to select the region on the waveform during the playing. With the selected region, click the Delete option by right-click to remove the clip waveform. And select another region and click the FadeOut button to save the clip. After editing audio, click the Save File button and open the save window. You can keep the default output name and path. And click the Save button to save the edited audio as the common MP3 format. Masome Audio Editor is really easy to use and provides basic effects that can meet most your needs to edit audio. With Masome Audio Editor, you can edit the audio following your talent to make the special and amazing sounds. 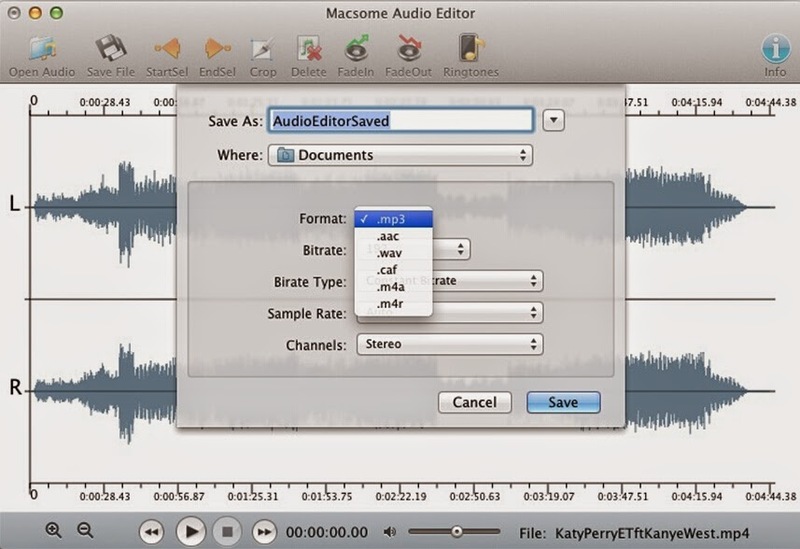 And the good news is Macsome Audio Editor is totally free. 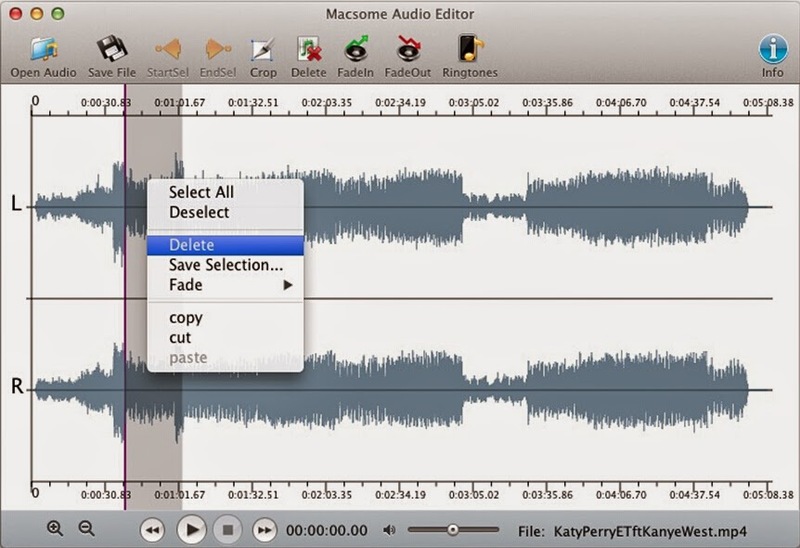 Free, simple and useful, Masome Audio Editor is waiting for you to know more. How do I convert a audiobooks from audiobooks.com to mp3?